Victim, survivor, advocate and avenger. This former organized crime prosecutor almost died from an environmentally linked illness. He now devotes his life to giving a voice for those too weak or sick to fight for themselves. In the late 1980’s, Alan Bell was living the American dream: He was happily married, the father of a baby girl, an athletic lifestyle, international travel and an exciting social life. Soon after he moved his law practice into a new, high-rise office building, ‘sick building syndrome’ caused him to become ill. One day he was healthy, athletic and strong; the next morning, he was too sick, dizzy and weak to get out of bed. His world imploded. Over the following months, Alan developed high fevers, sore throats, swollen glands and impaired breathing. Eventually, he experienced seizures and could barely walk. His health continued to worsen until he became so ill he was forced to stop working. Despite being examined and tested by numerous world-renowned doctors, none of them could help. Finally, a doctor diagnosed him with Multiple Chemical Sensitivity, a devastating illness caused by exposure to environmental toxins. 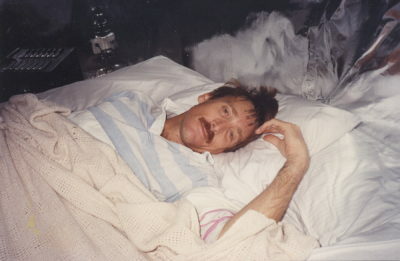 The medical profession had no treatment to offer Alan: no cure, and no hope. Doctors could only advise him to avoid all synthetic chemicals and live in complete isolation within a totally organic environment. 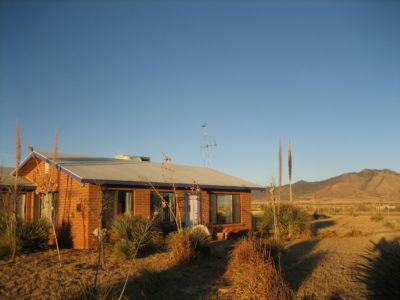 Environmental “bubble” in the remote Arizona desert. Alan relocated with his wife and daughter to a small non-toxic house in the middle of the Arizona desert, fifty miles from the nearest town. He continued trying to find treatments for his illness, but traditional doctors had nothing to offer. Alternative medicine quacks and charlatans did more harm than good. In time, his wife tired of living in seclusion, left him with their daughter and filed for divorce. Completely isolated and barely able to survive, Alan was literally imprisoned in solitary confinement within the environmentally controlled ‘bubble’ tethered to an oxygen tank while restricted to a wheelchair. direction of environmental health research into the 21st century. 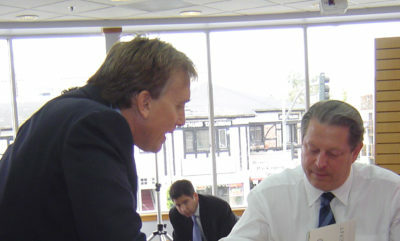 Alan convinced the National Institutes of Health to sponsor the event, and he recruited the endorsement of then-Vice President Al Gore for this monumental event. Astronaut Gene Cernan, the Commander of Apollo 17, and celebrities including Alan Thicke, Matthew Perry and Kenny Loggins supported his cause. Laura Ziskin, producer of the Spiderman series, The Academy Awards and Stand up to Cancer, has also embraced his mission. Although Alan’s work for the Foundation was fulfilling, at the end of each day, he remained alone. 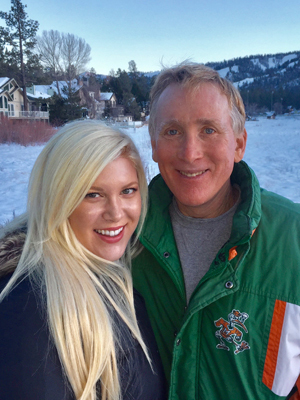 Eventually, Alan’s daughter, Ashlee helped him escape his isolation, after they found an experimental treatment enabling Alan to reemerge into the outside world after being isolated for almost a decade. Alan, an ordinary man, thrown into an extraordinary fight, has devoted his life to helping victims who cannot fend for themselves. Despite overwhelming odds, his personal misfortune has turned into a benefit for others. He has become a global advocate fighting to help ‘Save the Humans’. Numerous newspaper, magazine and television programs have covered his story. Our environment’s impact upon human health has become the Silent Epidemic of the 21st century. No one is immune to environmentally linked disease, regardless of social, financial or ethnic status. We all breathe air, eat food and drink water and are at risk in our homes, schools, workplaces and neighborhoods. Aside from crime, war, and accidents, all human disease and premature death is caused by the genes we are born with and the environment we are exposed to. More people die from toxic exposure than all those affected by AIDS, war, and crime combined. Subscribe to Alan’s newsletter and download a free chapter of Poisoned. Victim, survivor, advocate and avenger. Former organized crime prosecutor, Alan Bell, almost died from an environmentally linked illness. He now devotes his life to raising awareness about environmental injury through public speaking and his book, POISONED, available now. Alan is a fierce advocate for those too weak or sick to fight for themselves.